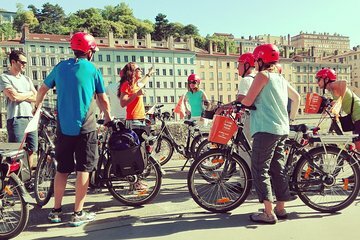 This 2.5-hour electric bike tour shows you the best of Lyon. Hop on your bike and cruise past the old city center, a UNESCO World Heritage Site; Place Bellecour with its statue of Louis XIV; the colorful Croix Rousse tunnel; the banks of the Rhône, and more. Stop to enjoy a glass of wine with rosette sausage, local cheeses, cured ham, and cake in France’s culinary capital.